with students at Explore Charter School in Brooklyn, N.Y.
Joel Klein may be the mastermind behind the meme that teacher quality, not a student’s socioeconomic status, is the biggest predictor of academic success. He has used his own streets-to-riches story to make the case. In the November/December issue of The American Prospect, Richard Rothstein turns Klein’s argument on its head by telling a very different story of how Klein grew up. It’s a must read. I suggest you start here, at the Economic Policy Institute blog, with Richard Rothstein’s own introduction to his piece. He maps out the thinking behind it. He also underscores the story’s emphasis on the role of public housing policy in segregating American cities. The impact of housing policy on public education is something no teacher can unwind. (This is as good a place as any to plug Antero Pietila’s book, Not in My Neighborhood: How Bigotry Shaped an American City, which untangles the history of racism, redlining, and white flight in Baltimore.) If Joel Klein succeeded because he did not grow up among poor minorities, then there has to be more to improving outcomes for American public school children than firing bad teachers. City planning, zoning, and housing policy all need to be part of the conversation. You can read the article itself here: Joel Klein’s Misleading Autobiography: What the former chancellor of New York City schools’ sleight of hand tells us about education reform. You might also get something from this piece, “Joel Klein’s Hidden Legacy” by PBS education correspondent John Merrow, which traces Klein’s influence on American public education and education reform. That influence is multiplied by Klein’s former deputies, Baltimore City Public Schools CEO Andres Alonso among them. Illustration from 1911 Encyclopædia Britannica. Original caption: Fig. 1.–Fruit of the pine-apple (”Ananas sativa”), consisting of numerous flowers and bracts united together so as to form a collective or anthocarpous fruit. After the heady effects of the Village Parents event, this story was a downer. The District spent $500,000 on renovations to the central office, half of which went to spruce up the executive suite of the chief of information technology. This story comes against the backdrop of a push to raise $1.2 billion – a fraction of the total needed – to fix crumbling public schools. 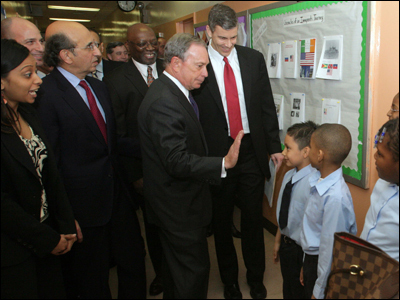 City Schools CEO Andres Alonso chalked it up to “a bad judgment call.” Right. The story makes me question my willingness to work within a system whose leaders’ have their priorities so crooked. I’m sure I’m not alone. UPDATE: BCPSS Chief of Information Technology Jerome Olberton resigned his post in January 2013 and took a $185,000 chief-of-staff position in the Dallas public school system. 4. Critics seek more oversight of renovations at school district headquarters, Erica L. Green, Baltimore Sun, April 27, 2012. City Schools advocates who have to fight for funding in Annapolis have more to be disappointed about than I do. The choicest part of this follow-up piece is where the chief information officer, Jerome Olberton, explains himself by claiming that the reason he needs to improve his department’s work space is to attract more highly qualified applicants. Um, to ask the obvious, how about upgrading school facilities to attract highly qualified teachers? News of the crazy renovation expenditures for North Avenue got my mind singing a refrain that’s been in the back of my head for a long time. It goes like this: “It’s the Bureaucracy, Stupid.” I have yet to write that post. Thomas’s opinion sort of takes care of it for me. The newest voice in Baltimore education blogging belongs to Jess Gartner, a teacher who has way more than the average level of commitment to her students. She took on Professional Development a week ago. Ms. Gartner is optimistic about the potential of the Common Core Standards to give teachers more autonomy. She is also far more positive than I am about the potential of the free market to solve problems that I would argue are of the free market’s own making. I commented with a note on Pearson, the educational content powerhouse that is making the kind of tailored instruction that Jess Gartner imagines a difficult dream to realize. She commented back. More on that below. I think Jess Gartner would like this post. God knows I do. It talks about creativity, about autocratic rule, about radical localization of decision making. It should be required reading for anyone who works at North Avenue. Especially the ones at the top who moved here from New York and Boston and Atlanta via the Dallas/Fort Worth area and… you catch my drift. Is it me, or is Baltimore run by out-of-towners? Picking up on that Pearson thread I brought up earlier was Gail Collins, who uses a pineapple as a juicy pretext for talking about privatization of public schools. The topic is a yawner otherwise, isn’t it? Diane Ravitch started her own personal blog this week. 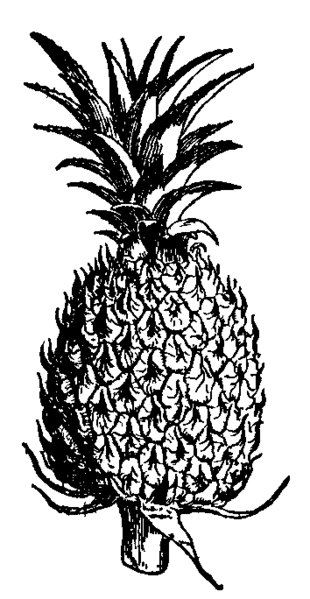 In this post, she explains the appearance of said pineapple in a test item on a New York state test that Pearson had produced, originally for Texas. Pearson seems to be the goose that laid the golden pineapple. CEO Andrés A. Alonso, Ed.D., sent out an email on November 9 with the subject line “Great Event: Please Join Me on Saturday November 19!” It’s the School Choice Fair. And it’s his favorite. This is my favorite City Schools event because it offers a glimpse—like no other occasion or news release can—into the incredible range of learning opportunities available to our students and families, and into the nature of our partnership with our families around the choices they make. More than five dozen schools with middle and high school grades will be on display, with students and staff on hand to answer your questions and provide detailed information about their programs. Come to the fair and learn about single-gender schools and combined middle-high schools, and dozens of schools with a unique theme or distinct academic focus: schools with visual and performing arts programs; career programs in health care, hospitality and broadcast production; STEM (science, technology engineering and math) and robotics programs; foreign languages; environmental and green themes. Find out where students can go to develop leadership skills, join debate teams and learn to play chess from national champions. Come celebrate with me—and with students and families across the city—the great things happening in City Schools. Do you want options? If so, how many? Is an event at a baseball stadium – with representatives from 65 schools – intimate enough? Or would you rather have one-on-one or small group middle and high school choice advising sessions at your current school? Say, someone who knows your child’s interests and abilities? Is there someone at your school who does that? Does it even matter? Will your children just go where their friends go? Or where your friends are sending their children? Or wherever is closest? How old was your child when you started to think about middle and high school options? P.S. For those who are interested, the 2012-13 School Choice Fair is scheduled for Saturday, November 19, from 9 a.m. to 2 p.m., at Oriole Park at Camden Yards. If the School Fits: Is There Such a Thing as Too Much Choice?